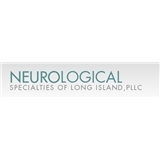 Neurological Specialties of Long Island, PLLC (Great Neck) - Book Appointment Online! Neurological Specialties of Long Island, PLLC offers patients comprehensive diagnostic and treatment services for all neurological conditions with care and compassion, leading to positive outcomes and patient satisfaction. Patients are treated as individuals rather than just a group of symptoms, and our doctors take into consideration the personal needs and lifestyles of each person when determining the most appropriate method of care. Our team of highly skilled and experienced professionals has provided excellence in neurological care and treatment in Long Island for over 40 years. Our physicians all are specially trained in neurology, and provide state-of-the-art diagnoses and treatments using the latest neurological innovations. Please see our website to print our new patient intake forms. He is extremely dedicated and an excellent doctor. I respect his opinion greatly and find that he is correct about his opinion 99% of the time. He has a huge following and gives you a very thorough examination. Awesome. I am happy that I found a Doctor like her. She explains everything. Will keep coming back. I was concerned about the wait time, but I waited all of 5 minutes, which is nothing. Dr. G was knowledgeable and took her time assessing me. I would recommend her to anyone needing evaluation for post concussion symptoms.